You are the infamous cat burglar Slyboots, and you've been forced out of retirement because copycats are making a mockery of your legacy. Show them who the real Slyboots is! Use the arrows key or gamepad to move, collect the treasure and exit. But which one are you? 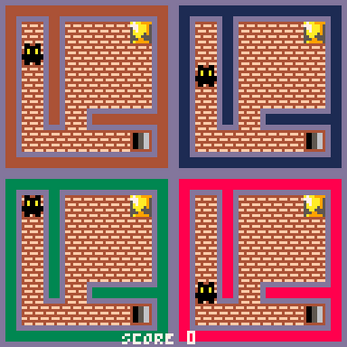 Created by Jonathan Decker "Lokno" during Wizard Jam 4, a game jam put on by the Idle Thumbs Community. See the forum for details.